Hi Authentique Fans! 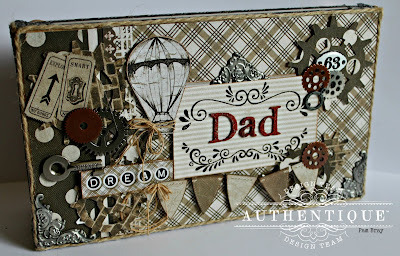 Pam here today showing you how to create a Dad's Keepsake Box filled with gift cards, small gifts, and of course money! If you have your dad's gift already...no worries since this a perfect idea for any holiday, birthday or special occasion like a wedding, graduation, Sweet 16, etc. using any of Authentique Collections. Begin by getting a chipboard box with lid to cover. I used a 11 1/4" x 6 3/4" box that is 2" deep. Cover inside of box and lid with Accolade paper using you favorite adhesive. Decorate the bottom of pattern paper; add border and paper strip to edge of box. 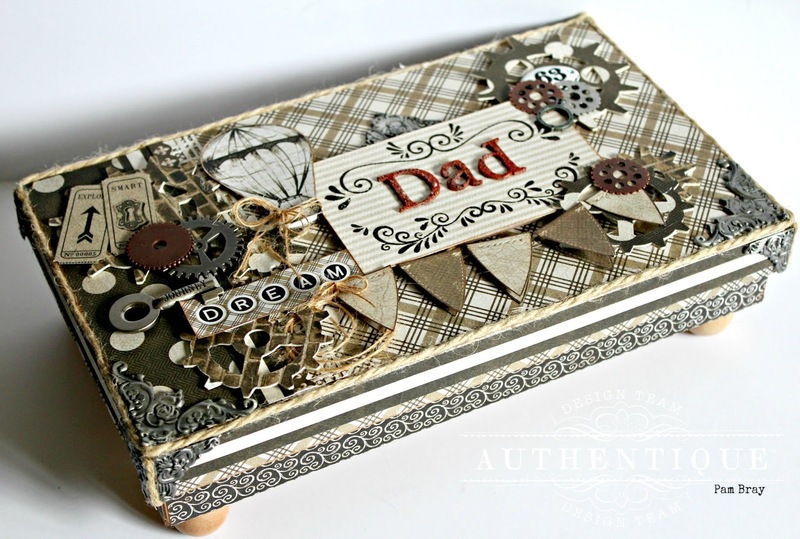 Decorate top of box with Accolade pattern paper, border and stickers. Adhere one Epherema Card to top of box. Add second one to top with pop dots. Emboss Dad letters with Chunky Rust Baked Texture; adhere to top of box. Adhere jute around edges of box lid. Adhere pattern paper to top of chipboard; die cut gear out. Adhere to top of box. Adhere metal gears to top of box. Fussy cut flags from pattern paper; add to top of box with pop dots. Add "Dream" Epherema Card to box with pop dots. Adhere metal corners and key to box. 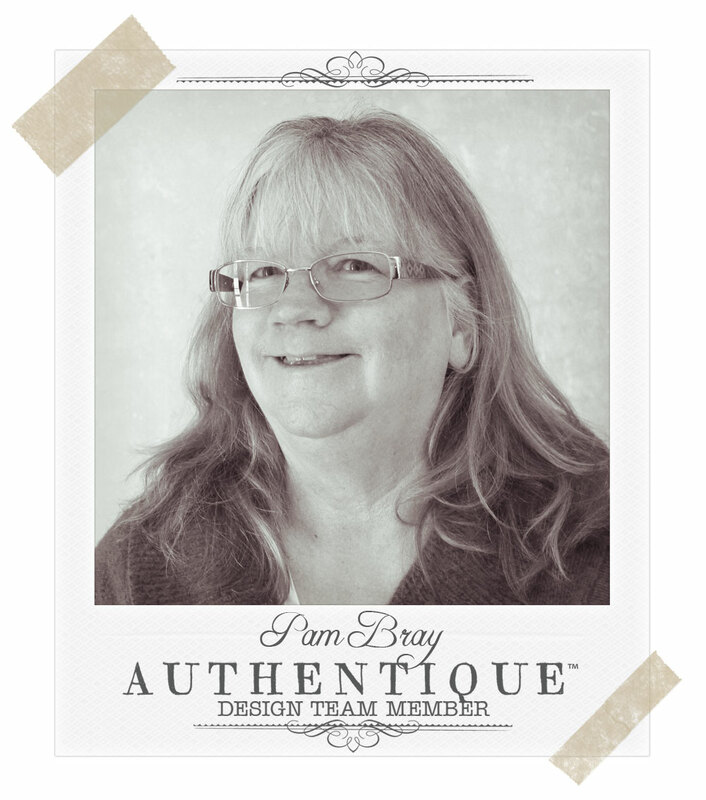 Add small fussy cut tags to box. Adhere small twine bows to flag banner and hot air balloon. Add metal underneath Dad frame.